March 31 is World Backup day and it’s a great time to get a backup in place. Businesses are losing huge amounts of data every day, purely because backing up is stuck at the bottom of their to-do list. So this is your reminder, that even if you only do this once a year when the calendar tells you to, it’s time to flip that to-do list and make it happen! But how? What’s the easiest, most effective way for your business to backup? Google Drive, Dropbox, iCloud, etc are services that sync up with a single folder on your computer. They mirror it. When a file changes in one, the sync service rushes to change it on your computer too, so they are always the same. Cloud Sync services are hugely flexible for remote employees, or even those squeezing in a few quick tasks while out and about. They’re ridiculously easy to use, require no training, and the free tiers are enough for most individuals. This all sounds amazing, right? Except…when things go wrong, they go wrong big time. Accidentally deleting a file means it disappears from the Cloud Sync drive – almost immediately. Overwriting a file does the same thing, and if an employee makes edits to the wrong file, then those edits are there to stay. If disaster strikes and your local copy becomes corrupt (or ransomed), well you guessed it, the corruption is uploaded too. While some Cloud Sync services now offer a 30 day backup option, you may not notice the file was missing within this time. 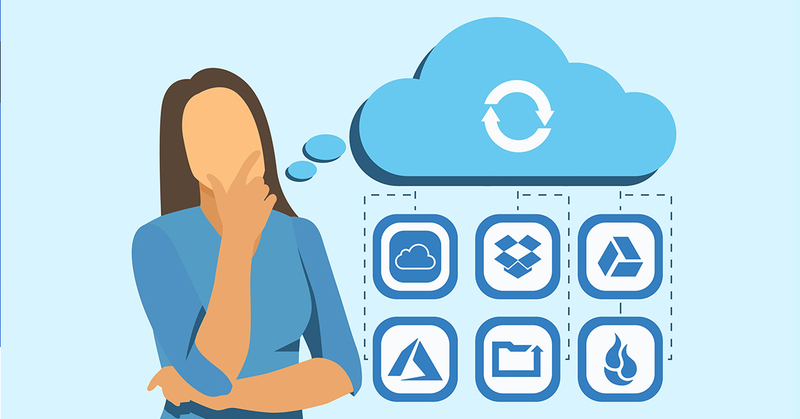 Cloud Sync services are fantastic for productivity and accessing files on the go, but they simply can’t be relied on as a backup. Let’s take a moment to talk planning. We recommend starting with the 3-2-1 strategy. This means having 3 copies in total, 2 of them locally such as on your computer and an external drive, and another offsite in the cloud. Using this strategy keeps your business operating when data disasters occur and is an investment in your uptime. We can help get you set up with the 3-2-1 method, including selecting the best cloud service for your needs. If you’re looking for a more scalable, cost-effective solution that gives absolute peace of mind, ask about our managed backup services. Need help with your backup? 3-2-1…let us know.